Progressive American cuisine from chef RJ Cooper. 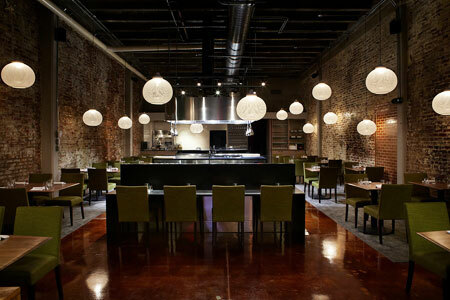 : Chef RJ Cooper, formerly chef de cuisine at Vidalia, is behind Rogue 24, offering a "theater-in-the-round" 16- and 24-act dining experience with dishes changing daily. A four-course prix-fixe menu is available Tuesday through Thursday. Mixologist Bryan Tetorakis is responsible for the cocktail program, and some of the beverages are finished tableside.